Trump appointees to head the Department of Energy and the Environmental Protection Agency to the contrary, the war on science isn’t limited to conservatives. Liberals have their own anti-science biases. Where conservatives often reject science based on their literal interpretation of the Bible or due to an abhorrence of federal regulations, liberals appear to be motivated by a belief that all things natural are good, anything with a chemical name is bad, and everything that profits an industry is really bad (unless that industry makes dietary supplements). If you don’t believe in the existence of the anti-science left, just walk into a Whole Foods store. At Whole Foods, you can buy products guaranteed to be free of: (1) one of the most important scientific advances in the 20th century (“GMO-free”); (2) a chemical resin that the Food and Drug Administration as well as every other regulatory agency that has weighed in on this subject has declared safe (“BPA-free”); and (3) a component of wheat that causes a disease that affects about 1 percent of the American population (“gluten-free”). In 1947, Willem-Karel Dicke, a Dutch pediatrician, was studying a mysterious condition of children with symptoms that included diarrhea, anemia, poor appetite, abdominal pain, bloating, and growth failure. Dicke was certain that these children were eating something harmful. He just couldn’t figure out what it was. Then a tragic event gave him the clue that he needed. At the end of World War II, Holland experienced its hongerwinter (“winter of starvation”); many foods, especially breads, became unavailable. While most people in Holland were starving, children with Dicke’s unusual disease—called celiac disease—thrived. In 1953, at a meeting of pediatricians in New York City, Dicke presented evidence that wheat products were causing an intense autoimmune reaction in the intestine of people with celiac disease, later tracing the problem to one specific nutrient: gluten, the component of bread that gives it an elastic quality. As described in Alan Levinovitz’s The Gluten Lie: And Other Myths About What You Eat, it didn’t take long for health hucksters to weigh in, warning the public that gluten caused not only celiac disease, but a wide range of other diseases. In 2011, William Davis, a cardiologist, published Wheat Belly. Davis argued that wheat was a modern-day poison, even though it is no different from the wheat that was harvested 10,000 years ago. In 2013, David Perlmutter, a neurologist, published Grain Brain. 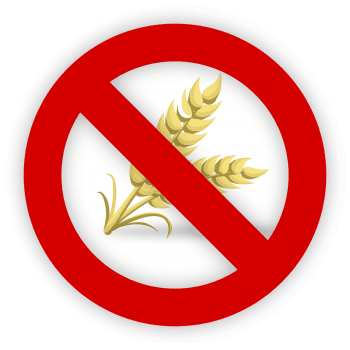 Davis and Perlmutter claimed that gluten was causing autism, arthritis, Alzheimer’s disease, chronic headaches, fibromyalgia, chronic fatigue syndrome, depression, epilepsy, excessive moodiness, cancer, heart disease, obesity, and schizophrenia. Wheat Belly and Grain Brain shared several features: both books were enormously popular; both dramatically expanded the market for gluten-free foods; and both contained not a shred of evidence proving that their contentions were correct (assuming that you don’t count testimonials from Jennifer Aniston, Victoria Beckham, Gwyneth Paltrow, Miley Cyrus, and Oprah Winfrey as evidence). Davis and Perlmutter ignited a firestorm. Now people with diseases not caused by gluten believed that gluten was their problem. Some, who had undiagnosed celiac disease, benefited. (Only about 15 percent of people with celiac disease in the United States know that they have it; many are incorrectly diagnosed with irritable bowel syndrome.) Others, who were now eating diets richer in fruits and vegetables, also benefited. Most people who embraced the gluten-free mantra, however, were doing nothing to promote their health. And they were spending a fortune to do it. A typical basket of gluten-free food costs almost three times more than other food. When only about 3 million actually are, you can buy gluten-free hair products, gluten-free food for your pets, and go on gluten-free vacations. In 2014, the global market for gluten-free products totaled $4 billion a year; by 2019, it will be closer to $7 billion. Although the harm of the gluten-free craze isn’t immediately obvious, it’s there. Imagine trying to avoid all foods containing wheat or related grains, including raviolis, dumplings, couscous, gnocchi, croissants, pita, naan, bagels, corn bread, muffins, doughnuts, pretzels, graham crackers, cakes, cookies, pies, brownies, pancakes, waffles, French toast, crepes, croutons, soy sauce, cream sauces, noodles, and beer as well as other foods that might contain gluten like potato chips, tortilla chips, salad dressings, french fries, meat substitutes, and cheesecake. Apart from trying to find meaning in a life that doesn’t include brownies or beer, staying within the ever-narrowing lines of the gluten-free maze can be a crushing experience. The most unfortunate outcome of the gluten-free revolution is that demonizing food can lead to food fetishes or food phobias causing bulimia and anorexia, which affect about 2 percent of the United States population. These disorders aren’t trivial. Anorexia and bulimia have a mortality rate of about 4 percent. In fact, more people die every year from eating disorders than from all food allergies combined. The cure for celiac disease is avoidance of gluten. The cure for gluten mania, on the other hand, remains elusive. Paul A. Offit, MD is a professor of pediatrics and director of the Vaccine Education Center at the Children’s Hospital of Philadelphia and the author of Pandora’s Lab: Seven Stories of Science Gone Wrong (National Geographic, April 2017). 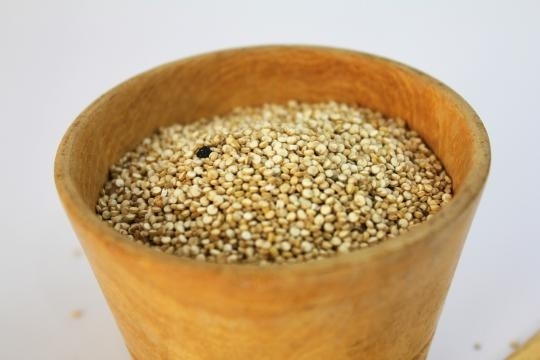 Gluten-free #Diets have gained popularity throughout the years. Notable celebrities have gone gluten-free, and this includes Victoria Beckham and Gwyneth Paltrow. Millions of regular people around the world don’t eat foods with gluten. However, there’s now evidence that suggests that no-gluten diets may increase the risk of cancer. It also enhances the risk of other chronic illnesses. This is because gluten-free foods contain high levels of toxic metals. Two studies in the United States found that people who ate gluten-free foods had two-times the amount of arsenic in their urine, compared to those who eat foods with gluten. The studies also found that the gluten-free folk had 70 percent more mercury in their blood, as well as high levels of lead and cadmium. The studies were carried out by #Researchers at the University of Illinois. People between the ages of 6-80 on gluten-free diets were looked at. They tested their urine and blood to come to their conclusion. In the report, which was published in the journal Epidemiology, scientists warned that an increased risk of cancer and other chronic diseases might be associated with low-level arsenic and mercury exposure. However, the scientists did say the effects of the exposure from food sources were not certain. As for how contamination can happen, it’s mainly from rice flour, which is used as a substitute for cereals, bread, and pasta. Parents around the world have been warned for awhile now about giving toddlers rice milk instead of cows’ milk. This is because of the dangers associated with it. However, repeatedly consuming gluten-free products have been linked to weight loss, skin lesions, and muscle wasting. It has also been linked to conditions such as diabetes and high-blood pressure. Gluten can cause issues for certain people. Those with celiac disease or gluten sensitivity may experience issues if they consume gluten. The same goes for those who have a wheat allergy. Do these sleep hackers have the cure for your insomnia?